crafting with katie: Happy Halloween! Happy Halloween! 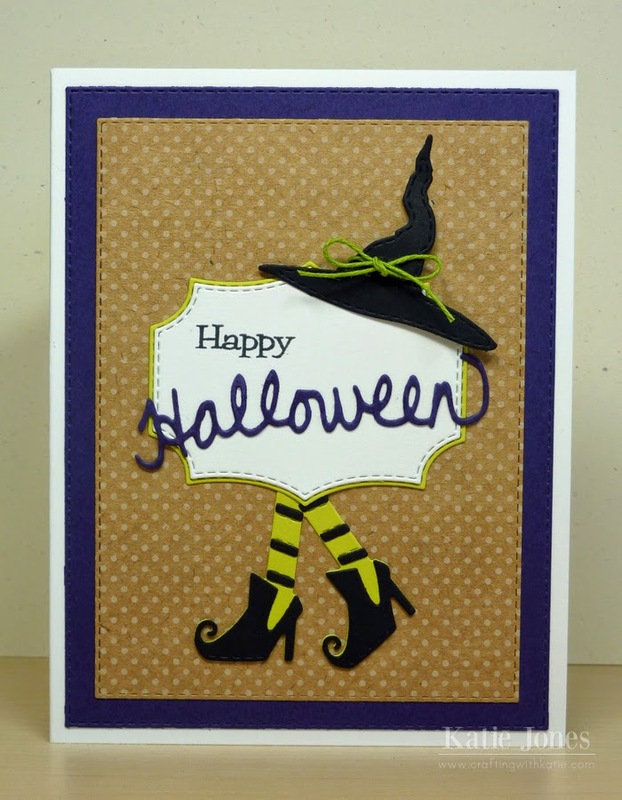 I have a card today that was inspired by my design team sister Leanne, who put together the witch hat and shoes with the label die in this way back during the September release week. Isn't it the cutest? The whole little "witch" was made with the My Creative Time Wicked Fun Dies, except for the label, which was made with the dies from Stitched Rectangular Frame Dies & More. I used a couple of the rectangular frame dies for my card base as well. Katie ~ TOTALLY CUTE! I remember now Leanne doing this! FABULOUS idea and of course I LOVE all the products!! Btw ~ give back my boots and hat ~ I need it for today! LOL!!! I love the little legs running under the hat, so cute. Love this card! The legs are adorable!